The drag flick is a highly technical field hockey manoeuvre, that is utilized to take a lifted shot on goal. Field hockey rules normally do not allow lifted shots on goal and the drag flick is the only lifted hit that is permitted in the game. Shots on goal have to be within blackboard height (460mm) and any shot above this height is deemed unfair. However, the drag flick does not actually involve hitting the ball, it is a modified push of the ball, there is no backswing involved. As such, even though drag flicks can achieve tremendous speeds, it is allowed in hockey. Australian Jay Stacy is credited to have first used the drag flick in a game in the 1987 Australian Hockey Championships in Hobart. As the drag flick became more and more popular, hockey sticks were modified to aid in the shot. These sticks had increased curvature that provided greater accuracy while drag flicking. Keeping in mind that these could provide the unfair advantage to players, the International Hockey Federation documented stick specifications for hockey sticks, limiting the size of bows used in International Competitions to 25mm. Drag Flicks are extremely powerful and can cause a ball to travel at ferocious speeds. As a result, the drag flick is extremely dangerous and can often lead to injuries. How to Drag Flick in Field Hockey? The Drag Flick technique has two basic components – the scoop and the flick. It is different from a hit because, in the rules of hockey, the drag flick is defined as a push. It is also different from a flick because, in a drag flick, the ball is dragged from behind a player’s body and lifted as it travels past the body, resulting in a higher speed. 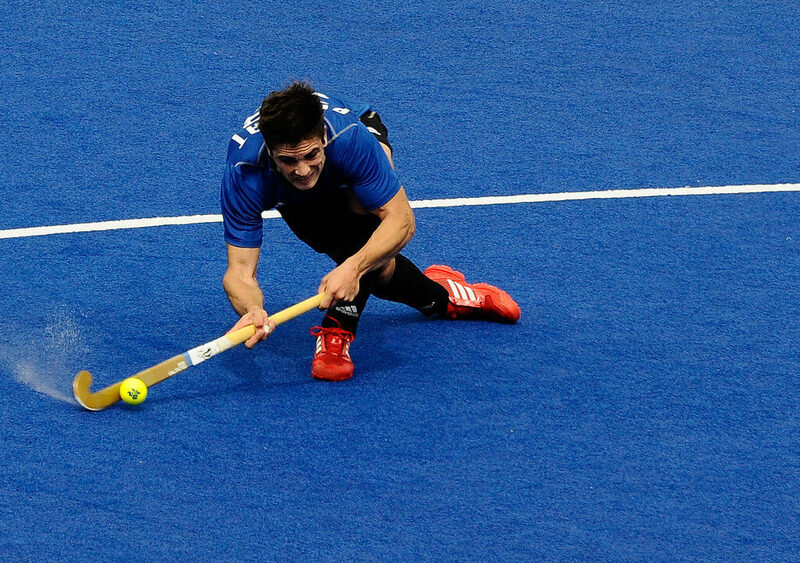 It is a move which involves deft technique and can be a little complicated for starters, but with practice and precision, it is possible to master the drag flick. An important part of the drag flick is in the grip. Contrary to what it might seem, the drag flick requires a basic grip. For a drag flick to start, an essential component is the stopper. When the ball is hit towards the shooting circle from the penalty corner, the stopper is the one who stops the ball and readies it for another player to drag flick it towards goal. While practicing alone, place the ball around half a foot outside of the shooting circle, and position yourself a little ahead of the ball. At the beginning of the move, the ball should rest at the bottom of the stick. Your stick will be angled slightly backward, while you lower your body and drag the ball along the shaft of the stick until it reaches the highest point. Now, as the ball rolls all the way down along the shaft, make the angle of the stick even further backward to enable the ball to rise on to the stick. This will aid in the flick. Once the ball is on the stick and properly balanced long enough, flick the ball towards the goal in the follow-through. Even though it is a complicated move, with proper practice, it is possible to get better at it. Concentrate on mastering the drag, the follow-through and also the ball movement along the stick. It is also a good idea to approach each part of the drag flick individually, practicing them separately and combining them together. One can divide it the upper body and lower body movements and practice them separately. Position yourself perpendicular to the goal, but be flexible with your hips and body, which will move as you manoeuvre the technique. Your feet should be perpendicular to the goal at all times. It is important to practice body movement first, so start with your back to the goal and then turn your body to a perpendicular position. Finally, end the move by facing your target completely. The fastest drag flick recorded came from Arjuna Award winner Indian Hockey Team Ex-Captain Sandeep Singh in 2010, when he reached a speed of 145kmph! Sandeep generally plays as a full back. He is an expert drag flicker and in fact his drag flicks were so famous at one time that he was popularly known as Flicker Singh. The World has seen many drag flick experts in the past and the present. 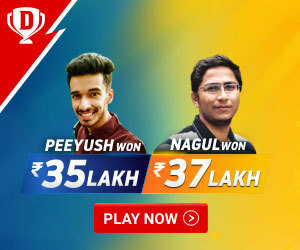 Let us take a look at few of the best of them. Chris Cirello: Chris Cirello plays for the Australian Hockey Team and has won a gold in the 2010 Men’s Hockey Champions Trophy. Also known as the ‘Big Dog’, he is one of the best drag flickers in the history of the game, as was evident when he scored a hat-trick in the 2014 World Cup Final and a hat-trick in the 2014 Commonwealth Games Final, leading Australia to the trophy in both tournaments. Gonzalo Peillat: He is an Argentine drag flick specialist. He was the highest scorer in the 2014 World Cup where Argentina won bronze. He was also the top scorer in the 2016 Olympic games with 11 goals, helping Argentina win the gold. Calum Giles: The retired England Hockey player is considered the world’s best drag flicker. He played 143 games for England, scoring 110 goals. Interestingly, two rules were introduced in hockey due to his tendency to come on as a substitute when his team won a penalty. Currently, teams are not allowed substitutions during penalty kicks. Giles retired from international hockey in 2000. Sohail Abbas: Sohail Abbas, the former Pakistan Hockey Team captain, has scored the most number of goals in international hockey – 348! He played as a defender and was a drag flick and penalty corner specialist. He was once considered one of the best short corner specialists in the world and had a powerful drag flick in his kitty. VR Ragunath: Born in 1988, this former Indian Hockey fullback was known for his drag flicks. He scored 6 goals in the 2013 Asia Cup as Team India won gold and he was awarded Best Player of the tournament. Rupinder Pal Singh: Currently one of the best drag-flickers in the world, Rupinder first represented India in the 2010 Sultan Azlan Shah Cup, as India went on to win the tournament. In the next Sultan Azlan Shah Tournament, he scored 6 penalty goals and announced himself to the world. Taeke Taekema: He is a dutch drag flick specialist and has played over 200 games for the Netherlands. He became famous after hitting a record 16 goals in the 2007 Eurohockey Nations Championship. 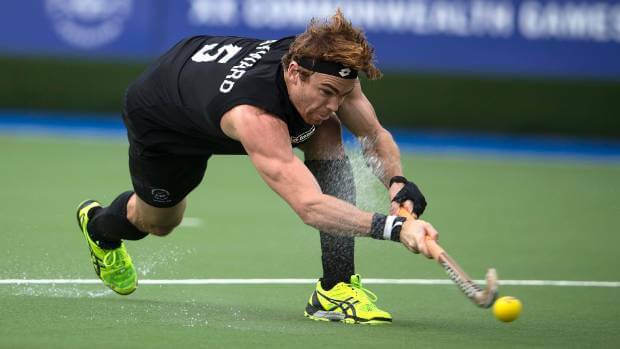 Hayden Shaw: Hayden Shaw played for the New Zealand Hockey team and was their drag flick specialist. He scored 13 goals in the 2002 Commonwealth Games as New Zealand won silver.